My brother and sister in law are looking to sell their house and move out of the city. 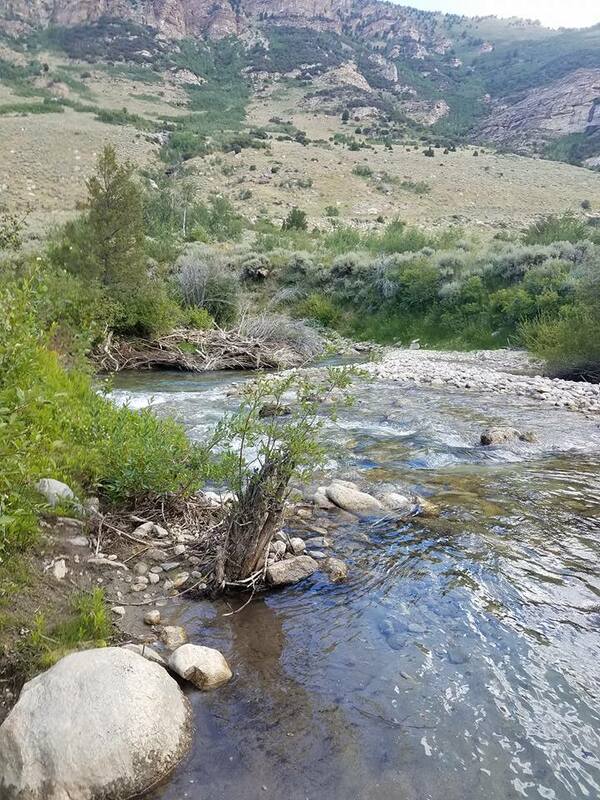 So they were looking in Northern Nevada, Lamoille to be exact and took this picture while they were in Lamoille Canyon. They found a little stream and a couple of waterfalls. They saw a small stream and waterfall as they were driving down the road and took this picture from their car. It's interesting to see a small waterfall right on the side of the road like that. It was a nice hiking area for sure. I'm guessing you don't see much of that in Nevada! Only if you go up in the mountains. Sure must be a rare sight there. Getting out of the city is a win indeed. I would love to see more of this around here. Those pictures are so pretty. So calm! We love those and we agre with calming! I'd love to live near something like that!! I wish there was something like this around here. It so nice when you get the chance just to appreciate how beautiful the world around us can be. Thanks for sharing these! It's the little finds like that that always make me smile.